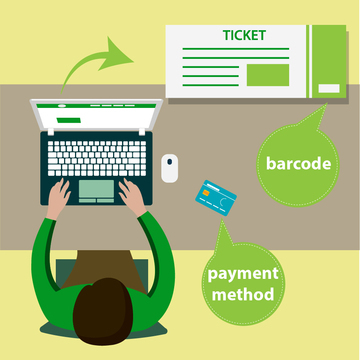 Here’s our some of our updates about web-based ticketing and internet ticketing, bookings and reservations. AddTransit makes it easy to sell shuttle bus tickets online. 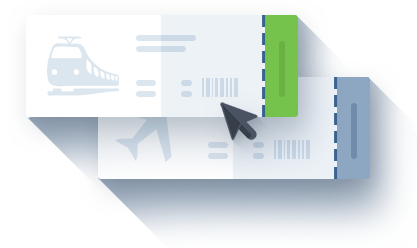 All you need to do is signup, and then enter your schedule, route, fares and payment information. We’ll then give you a small snippet of code to add to your website. Once you’ve added the code and it is live, you are done! Passengers can purchase tickets via your website, or via our apps. Alternatively, we can provide you with an app that has your own branding. 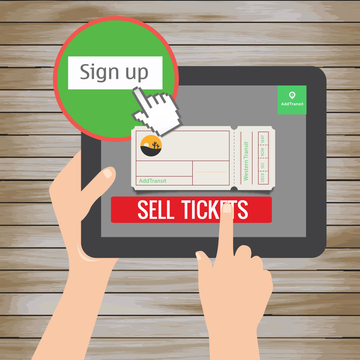 Our online ticketing system allows you to monitor past sales and future reservations 24×7. And as passengers board you can verify they hold a valid ticket. Join now and sell shuttle bus tickets online today! If your tour involves travelling with multiple pick-ups and drop-offs, then you should have a look at AddTransit’s online tour reservation software. We know that when running a tourism operation that has multiple pick-ups from different locations, that it is important to obtain this pick-up information at the time of booking. If you don’t have a online tour reservation software or system that captures this information automatically, then you’ll to collect and compile this list manually later.. and you’ve got better things to do. AddTransit gives you the ability to create an on-boarding manifest, understand capacity, forecast potential delays, and at the end of the tour know who needs to depart at each location. You don’t want passengers missing their pick-up or at the end of a great tour, finding that sleeping passenger has missed their stop! 1) Does it do what you need it to? You need to ensure that the software meets the needs of your business. You’ll need to check that the software handles your fare structure (i.e. Adult, Child, Family, Seniors, Special Trips, Discount Offers, etc.) Do you need to have passenger manifests or historical reports? Do you want to be aware when passengers with special needs might need support? Can passengers sit anywhere or travel on any trip during the day, or is there restrictions and does the software support this? You’ll need to identify what you have now, determine what you want in the future, and be aware that some things may need to change. 2) Who will be using it and what training is required? Many heritage and steam railways are run primarily by volunteers. This means that any new systems/software must be simple and require minimal training. Determining who will need to be trained and their level of training, is directly related to the who will be using it and why. Some users will provide customer service in the form of front desk or telephone operators, others may be managing boarding and seating, whereas others will be more concerned about the accounting or future projection of demand. Be sure you know who will use the software, the type of training they require and understand that volunteers will have restricted and often, differing availabilities for training. 3) Where will the software be installed? In the old days, software was created “bespoke” or individually built for each customer. The software was then installed on personal computers, tills/cash registers and run either standalone or over a network. This had significant upfront cost and with limited budgets meant that upgrades were often deferred indefinitely. Today software is typically available via the internet with data stored in “the cloud”. Access to the software is via WIFI or 3G/4G services meaning that you are no longer limited to specific locations. This allows additional “ticket offices” up and down the line that only require a wireless connection and iPad, tablet or PC to operate. It also allows passengers to purchase their tickets online and reservations to be checked while the train is moving. The software is automatically upgraded for all users, meaning you always have the latest version. Cost has been left until now (number #4), because although budgets are always limited, the first three reasons will determine the total cost. The total cost must include the upfront, ongoing and organisational costs when choosing steam train ticket software. The software costs can be structured a number of ways including the number of users, a periodic fee (e.g. monthly or annual) or a one-off cost with maintenance upgrades. However, it is often the hidden costs of 1) the functionality that is available, 2) the users and time/effort and training, and 3) the way that the software is deployed, that will end up having a much greater impact on the day to day running of your railway. Of course, there are a variety of other factors that will affect how you choose which steam train ticket software is right for you. They include the level of vendor software support and how passionate they are about steam/heritage vehicles, the current software you have and if it is truly “upgradeable” when the hidden costs are calculated, and then more emotional factors such as “I like the way the screen does this”. Be careful when considering other factors, as although they may seem important, the real consideration should always be passenger and team experience and the best return on your investment.